In an uncertain time, security is needed at home (and at work). You need an effective way to protect your most valuable assets. We help you become more secure by equipping your home with a fully interactive security system. Lighthouse Technologies enables you to monitor everything that happens in you home or business. 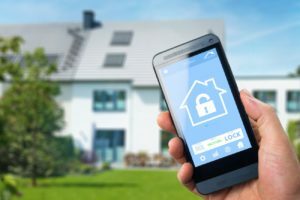 Unlike traditional home security systems, we do not require a phone line or broadband connection. This means that your wireless home security system connects through a GSM connection. By wirelessly connecting with the Verizon, AT&T or T-Mobile network, we ensure you have and maintain a dedicated connection. This means your security system will continue to work even after a power failure. Your home security system is custom tailored to your home and your needs. We will design with you so that your system provide enhanced comfort, safety and convenience. And we build your system so that it will have with remote access (wireless options too), as well as customizable alerts. Our systems deliver home and business security with the utmost in convenience, control, and complete connectivity, no matter where you are. We do this by creating solutions that use the latest wireless, web, and mobile technologies. Voice activated systems designed for at-home Seniors. Our mobile apps notify you of any situation, and let you enjoy anytime, anywhere access to your property. By contrast, this is an obvious security camera (on the outside of a shed at a home in the Woodlands). The appearance of security being present can often deter would-be intruders. Whether you’re in the Woodlands, Conroe, Montgomery, or vacationing, you can have fully automated control of your home security system.